Many women have now come forward with allegations that Roy Moore harassed, fondled, or otherwise solicited them, the two most serious coming from women who claimed they were 14 and 16 at the time. Moore has consistently denied wrongdoing. His claims have been supported by other Alabamans who have known him for years. 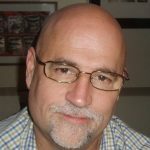 Well, considering the mountains of defense, denials, misdirection, flat-out lies, and when that fails, stony silence, about serial sexual predators like Bill Clinton, Teddy Kennedy, Gerry Studds, Barney Frank and others, the media seems to be hysterically out of character to be spending so much ink on the Moore story. Then again, all those others were left-wingers. Phillip L. Jauregui, Moore’s attorney, fired back against these allegations. He and others point out the difference between the sevens in “Christmas 1977” and “12-22-77.” I would add that switching writing styles from cursive to block print seems incongruous. While Gloria Allred claims the “D.A.” following Moore’s signature is an abbreviation of “District Attorney,” Jauregui says that Moore was assistant district attorney at the time. He explained that “D.A.” are the initials of Moore’s assistant, Delbra Adams, who added her initials when she stamped Moore’s signature on documents. Thomas Wictor, a noted journalist and author who also analyzed the signature, says it looks like a fraud. Moore and his lawyer have called it a forgery and the Moore team sent a letter to Allred demanding that the document be made available within 48 hours. Of course, the media has lunged to discredit Moore’s explanation of the yearbook entry. CNN’s Chris Cillizza calls it “Moore’s appalling ‘yearbook’ defense.” Cillizza has not made even a peep about the latest allegations against sitting Sen. Al Franken (D-Minn.), but never mind, he’s a liberal so it doesn’t count. Once again, we see the “D.A.” following Moore’s signature. Clearly, it is not an abbreviation for “district attorney.” If, as Jauregui says, these are the initials of Moore’s assistant, then we have to believe either that it was his assistant who signed the yearbook note, which makes no sense at all, or it is a forgery, copied from a genuine document like the divorce decree. The Washington Examiner further points out that Moore includes his middle initial “S” in many signed documents, but not the yearbook. Handwriting experts say it is essential to examine the actual yearbook. Inks can be analyzed and dated, the imprint left by the pen can be measured for consistency and other factors can be evaluated to allow for a more conclusive determination regarding the signature’s veracity. Judge Moore would likely not have demanded to see the document if he were worried about that. While there may be other questions about some of the allegations, it has always seemed suspicious that, given Moore’s controversial character and the Left’s repeated efforts to destroy him over the years, these allegations would have surfaced long ago if they had any validity. Instead, we have an October – or in this case November – surprise, exploding in headlines mere weeks before this critical election, when the Left and establishment Republicans both want to see Moore go down in flames and called for him to drop out of the race almost as soon as the allegations hit the airwaves. Rush Limbaugh has called it “a multi-faceted search and destroy mission,” a coded message to Steve Bannon from the establishment that he is not going to have his way without a fight. I judge the whole thing to be fake news. We now have what looks to be proof of a forgery. 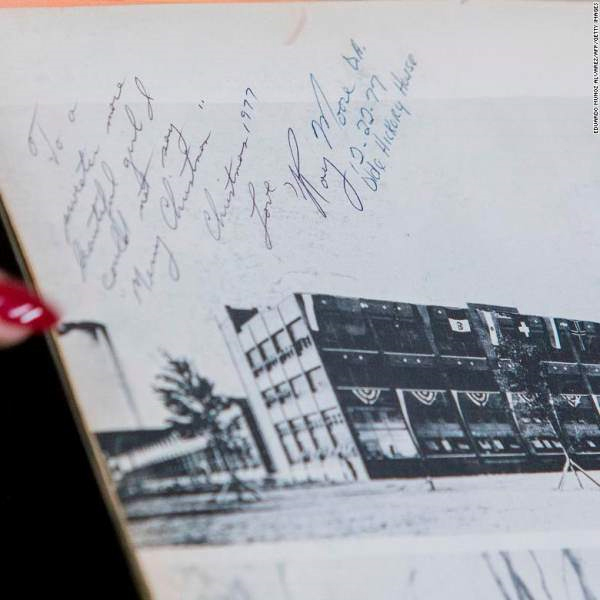 The “D.A.” after Moore’s signature in the 1977 high school year book of accuser Beverly Young Nelson are the initials of Delbra Adams, Moore’s assistant, who it turns out didn’t begin working for Moore until 1987. So clearly somebody on the anti-Moore side isn’t being honest. A criminal investigation is warranted. Gloria Allred refuses to release the yearbook for forensic analysis, which is making her look guiltier by the minute. Moore continues standing his ground. Childhood friends, associates and former girlfriends who have known him for decades are coming to his defense. 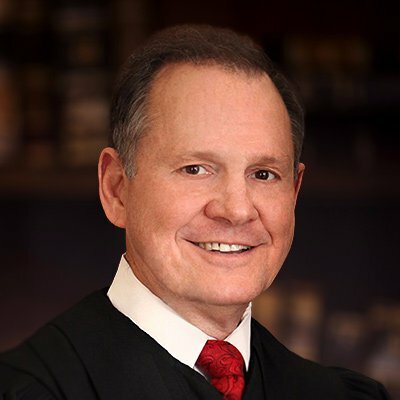 Meanwhile, Ned Ryun, founder of American Majority, told Breitbart News on Friday he believes that the Moore slander arose from the Washington swamp. “I’ve been in D.C. almost 20 years. And, again, I don’t have hard proof, and I will say this clearly: I do not have hard proof, but I strongly suspect it’s a very short list of people, all who are associated with Mitch McConnell – whether it’s Josh Holmes, whether it’s Karl Rove, might even be Steven Law – I don’t know, but I strongly, strongly suspect somebody out of the McConnell camp planted the story,” he said.